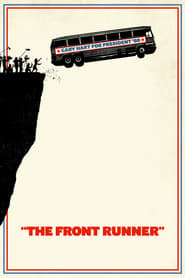 The Front Runner is a 2018 Drama History movie directed by . It stars Hugh Jackman, Vera Farmiga, J.K. Simmons, among others. The Front Runner is currently rated 6.1 stars on the ReelBugs scale. "The week America went tabloid"
There is one reason, and one reason only that I will watch front runnahh! Ole Billy fake mustache ova heeeeere! I was sold when I saw Bill Burr was in this! Anyone else notice ole Billy Redface?! was gonna watch to support Bill Burr but this actually looks great too! oollllllll... look who's here, it's doo dee deee dooo.. BILL BURR!! I see Wolverine enjoying his retirement. EY' Bill bo ginger ball baggin's with a cameo eah'! I spied a Bald Mustachioed Bill Burr. I forgot he was in this. Ayyyyy billy boy! Good on you!! Bill Burr is so pale, they hired him for the night shoots because they don't need lights to film him, he glows in the dark! Damn, Bill Burr taking home an Oscar on this one. Bill blurr is in this movie. What???? I came after Bill's podcast. Was that Bill Burr at 0:46 ?